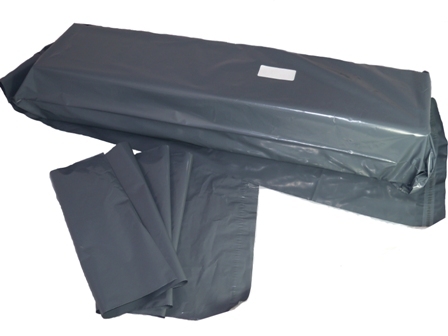 A box of 500 long & strong grey mailing postal bags, size 12"x36" (300mm x 900mm), with 40mm 'peel & seel' lips. These mailing bags are extremely high quality and are 60 micron in thickness, like all the other sizes we stock. Perfect for mailing your items at a very cost efficient price.